Embodied resourcing in turbulent times. How do we stay in our sacred ground throughout turbulent times? In this workshop we will explore the embodied resources we can draw upon when we feel knocked off centre. We will enquire into, celebrate and bolster the experiences that support us in inhabiting our sense of ground, as well as gently investigate those that can send us skyward and how we can invite our attention back in to our bodies. We will use movement as the primary means of enquiry, working relationally and creatively. The air that fuels us. Offer themselves back into the soil. within the cycles of nature’s timeless pulse. Moist mud of our Earthen selves. This workshop is now full. Please contact me to go on the waiting list. This movement workshop begins in the body, in our sense of breath and of bone, of weight and lightness, of gravity and momentum. We can often feel numb, scattered or overwhelmed by the pace and sheer volume of information that deluges our lives. Taking time to listen, breathe and awaken into the detail of what is within and around us, we discover a myriad flow of responses that bring back a sense of rhythm and connectedness. Through improvisation – moving, making and writing – we gather up from seemingly random pieces – the body a portal through which images, memories and stories emerge and make visible poetic landscapes that are unique and particular to each of us and which connect us more fully to ourselves, to others, and to the world about us. Prior dance experience is not essential. Wear loose warm clothes, bring a note book, writing materials and lunch. Spaces are limited. Booking with deposit will secure your space. Miranda Tufnell (www.mirandatufnell.co.uk) is a dance artist, writer and teacher in movement and imagination. She is also an Alexander teacher and cranio-sacral therapist. She has been teaching and making performances for over 35 years. Her work, both as a performer and body therapist has been to explore the ways in which movement shapes our sense of meaning, language and perception. With Chris Crickmay she co-authored two handbooks on sourcing creative work entitled Body Space Image (1990) and A Widening Field (2004). She has worked extensively in the field of arts and health including part time (14 years) within the NHS for a GP surgery. Her most recent book, When I Open My Eyes – dance health imagination (2017), documents this work. She has continued to teach widely (including the one-time Dartington College of Arts) and was visiting tutor at UCLAN on their MA in Dance and Somatic Wellbeing. 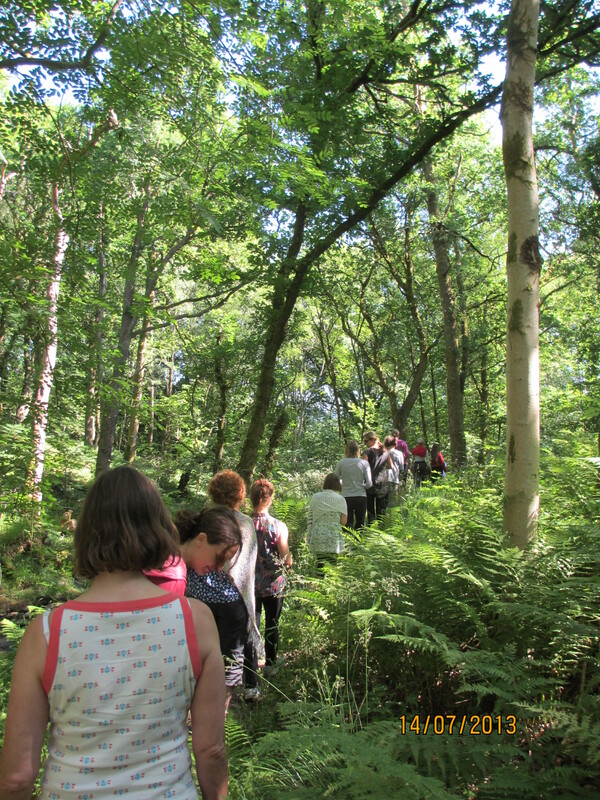 Based in Northumberland, she also offers one-to-one creative space retreats. Chris Crickmay: (Visual Artist) Originally trained as an architect, but moved early in his career into art and art education. He has taught for sustained periods in various universities in the UK, including the Open University (1970-78), Dartington College of Arts (1978-90) and UWE Bristol (1990-2000). He has had a long-term interest in strategies for creative work and the role of the arts in society. His primary art practice includes small-scale collaborative performance work linking art and dance. This has led to numerous collaborations with dancers and dance makers over the years, including separate sustained collaborations with Eva Karczag and with Miranda Tufnell. Chris is now an independent installation artist, performer, writer, and teacher with particular interests in creating interactive environments for performance and in improvised movement work. He also maintains a practice in figurative drawing derived from performance. His drawings were recently exhibited at the Lanchester Gallery in Coventry UK. 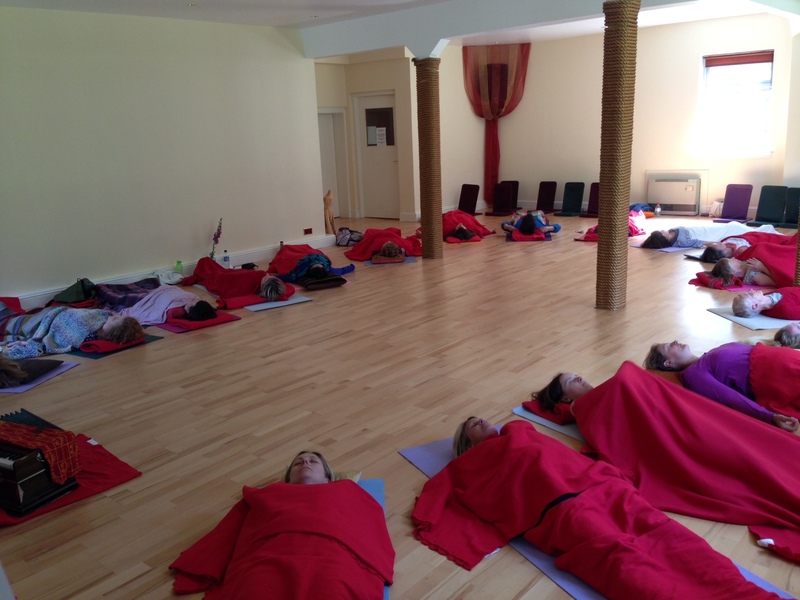 Exploring self agency, responsiveness to and connection with our bodily informed wisdom. In this workshop we will explore ways in which we can be greater informed by the wisdom of our living bodies. We will touch into ways we lose connection with and responsiveness to this innate, living wisdom. We will also investigate ways we can utilise and validate it, developing greater self agency, connection and authenticity of self and relational expression. We will use Embodied Relaxation, Creative, individual and relational, Somatic Movement Based Inquiry and Authentic Movement to explore these themes. The festive period can be a great time to invest some time into yourself. It’s an easy time to become swept away and lose a sense of ground. This workshop will invite you back to the ground of your own being and offer insights and resources to take away with you. 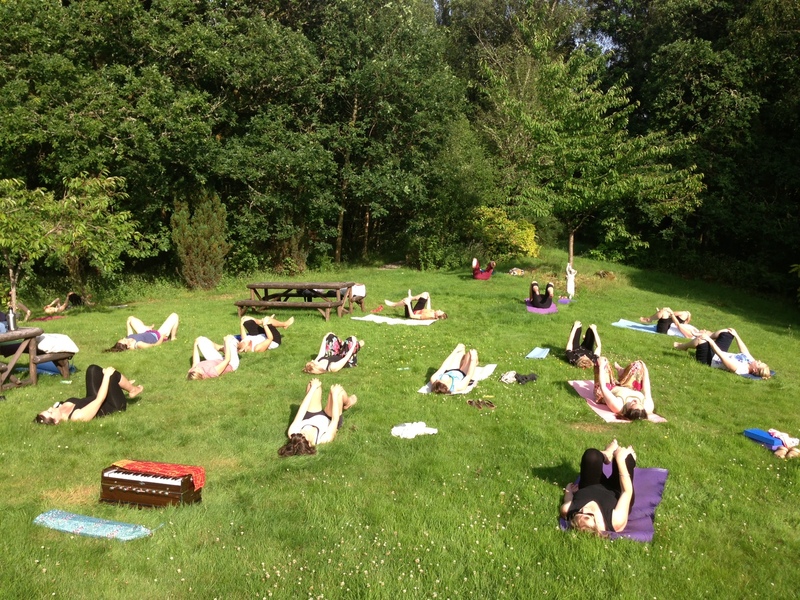 Please stay tuned for updates on workshops and retreats with Hayley. 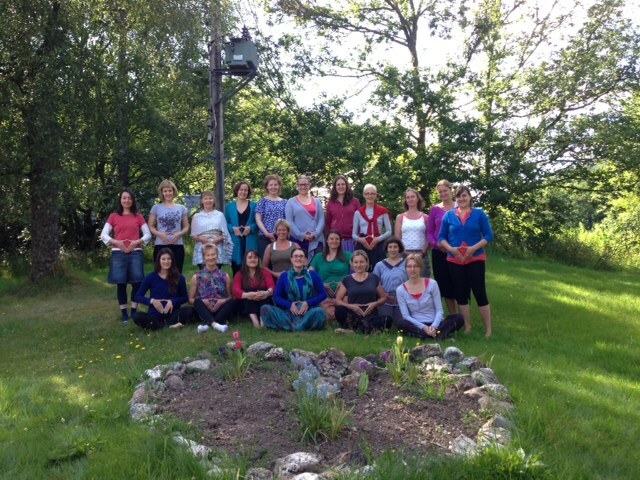 In the meantime, here are some images from the ‘Weaving the Web annual Women’s retreat at Lendrick Lodge, July 2013! We had a great time practicing yoga together, sharing stories and singing songs!